Our family loves Korean food so much. 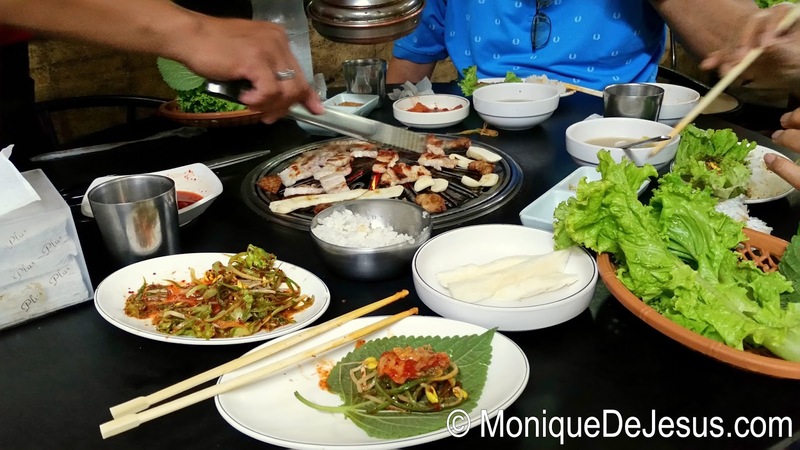 Ye Dang in Ortigas is our usual go-to place whenever we crave for some authentic Korea food. One Friday after we went to the National Museum, Mom, Dad and myself, we went to Makchang in Ermita, Manila which my sister always recommends. Makchang grills using traditional charcoal, unlike other Korean barbecue restaurants which use electric or gas grillers. That's why you will get that authentic charcoal-smokey flavor on the meat. So good!